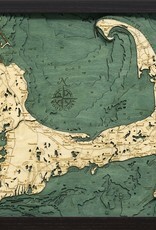 Cape Cod (Sm): 20”W x 16”L x 2"D A bathymetric chart is the submerged equivalent of an above-water topographic map. 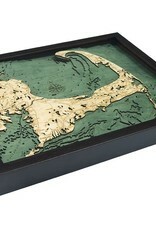 Bathymetric charts are designed to present accurate, measurable description and visual presentation of the submerged terrain. 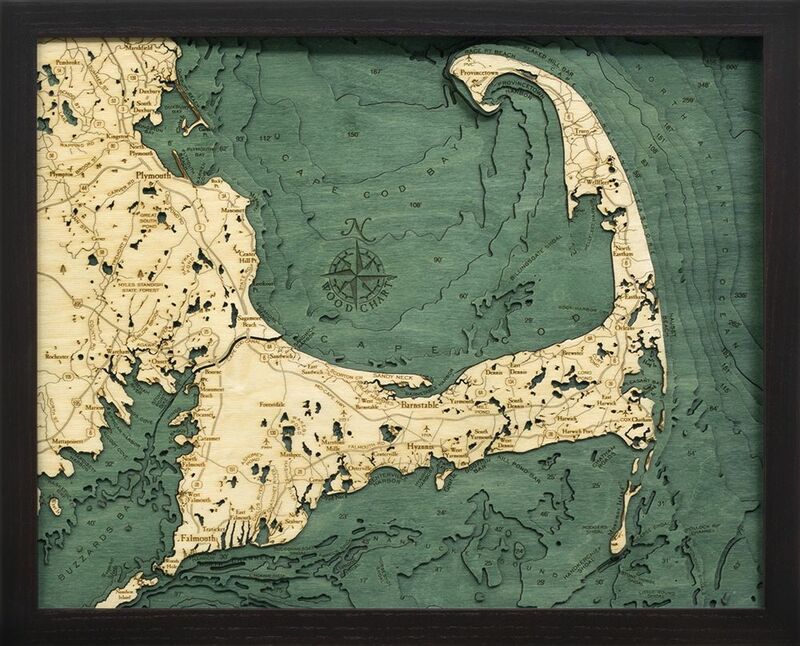 Laser-cutters are used to carve the contours into sheets of Baltic birch and glue them together to create a powerful visual depth. 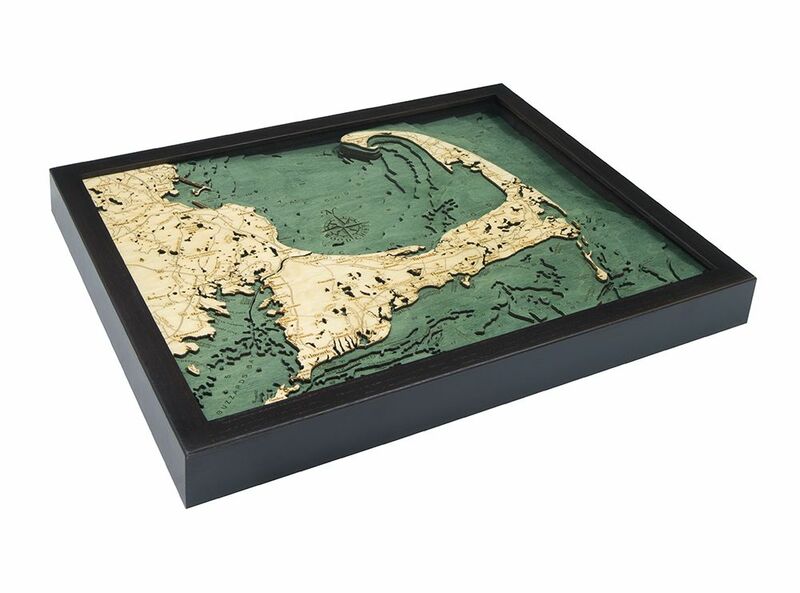 We hand stain select layers blue so it's easy to discern land from water, etch major byways into the land, then frame the whole thing in a custom, solid-wood frame and protect it with a sheet of durable, ultra-transparent Plexiglas. Labels / Notices for California Residents from WoodChart.com > This Finished Good Contains Composite Wood That Complies With California Section 93120 Phase 2 For Formaldehyde. > California Prop 65 Warning: This Product Contains Chemicals Known To The State Of California To Cause Cancer And Birth Defects Or Other Reproductive Harm.